This week's pick for our best blog feature is Two Big Two Little. We are featuring an interview with Tricia today and rounding up some of our favorite Two Big Two Little posts tomorrow. 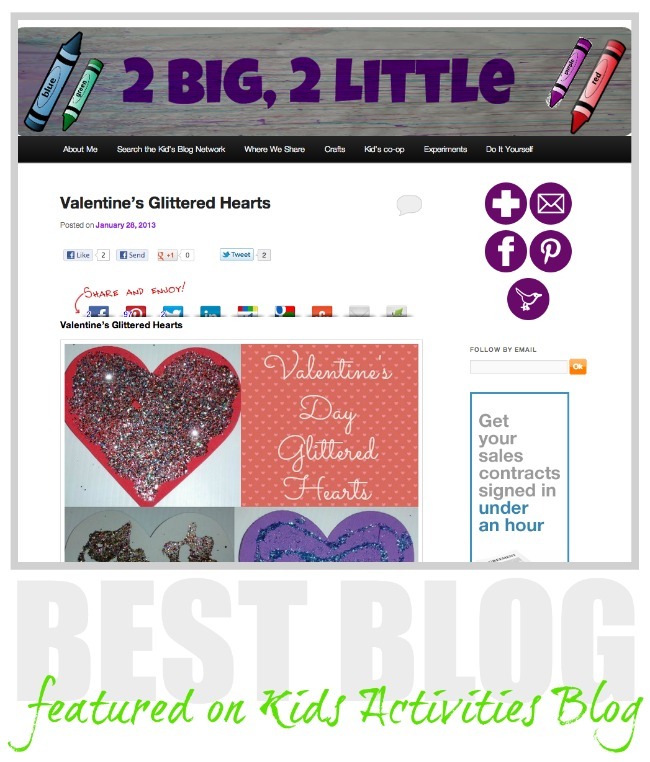 Kids Activities Blog is so excited about our best blog series. We are hoping to introduce you to some sites you won't want to miss! 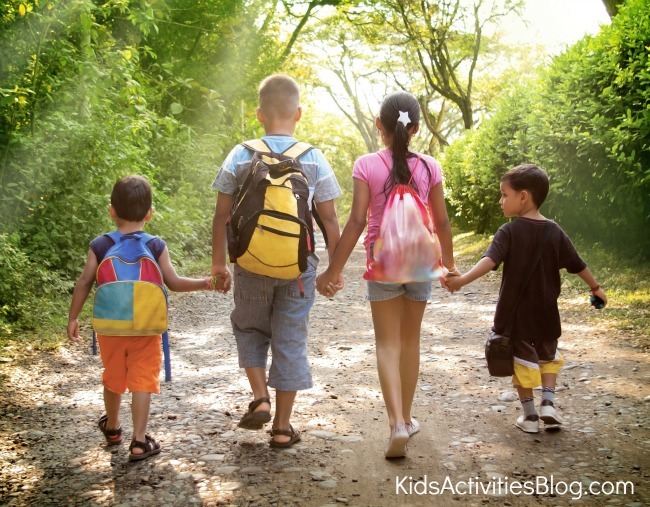 Two Big Two Little is written by Tricia who is a stay at home mom of 4 children. 2 are in high school, one in preschool and the other is one. She writes about crafts and activities for kids. I began blogging as I had been doing a lot of crafts and activities with my 3 year daughter. I was sharing most of these on facebook and a few of my friends suggested I start a blog to be able to share them with more people. I hope to give parents some ideas of fairly easy crafts and activities to do with and for their children. What is it like to live in your home? I have four children. My oldest son, Rylie, is 15 and not really involved with my blog at all. My oldest daughter, Maddie, is 13 and joins in on most of the crafts and things. My youngest daughter, Sammie, is 4 and she is the one that is the most involved with the blog. It was doing things with her that started the idea of my blog. My youngest son, Austin, is 18 months. He sometimes gets involved with the crafts and activities, but he is not really all that interested yet. I’m sure as he gets older, he will join in more often. I think our favourite kids activity would be salad spinner painting. We have done it so many times and used the paintings in so many different ways. I think Sammie loves salad spinner painting so much because everytime she puts the paint in, it comes out different. She really likes seeing how the paint has spread out, mixed and what designs it makes. I have always loved crafting, any types. I have a very bad habit of if I ™m not really good at something the first time, I don't want to do it anymore. I am trying really hard to stop doing this, as I don't want my kids to feel the same way. I want them to feel proud of any accomplishment they do, whether it's prefect or not. You can catch Tricia on FB, Pinterest and as @TwoBigTwoLittle on Twitter. Please check back here tomorrow when we are featuring some of our favorite Two Big Two Little posts!